From North or South on CR 371. Go West 1 mi on CR 115 to Main Gate. 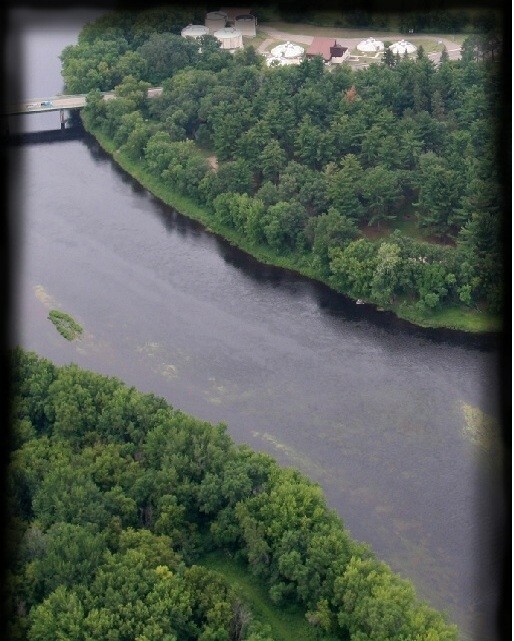 From US Hwy 10, travel East 8 miles on MN Hwy 115 to Main Gate. Check in at the Education Center building 6-76. 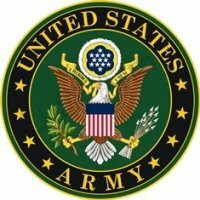 Active, National Guard, Reservists, Retired, 100% DAV, DoD, MN State Employees. May 1 - Oct 30. Reservations are accepted through the Camp Ripley Training Site Housing Office located in the Education Center, phone number 320-616-3140/3139/3138. Hours of operation are 7 a.m. to 11 p.m. daily (Monday Saturday) and 6 a.m. to 10 p.m. (Sunday). Bowling, Tennis, Equipment rental. DeParcq offers fishing, hiking, Pavilion, driving range, military museum under a wonderful old-growth pine canopy along the Mississippi River. Located along the Mississippi River. 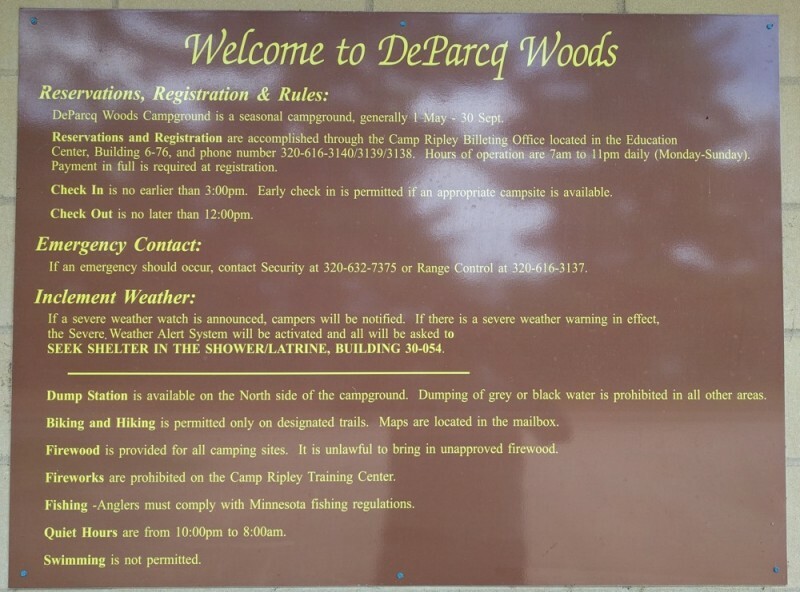 Brochure on Deparcq Woods located at Camp Ripley,. MN. Staff very friendly. My wife and I have been there serval times and love it. Shower house is about 4 years old. Very well maintained. Made reservations in January for a September arrival. Called a week out to verify all was well and to verify amenities. The lady said it was full hookup, 50A pull-through. Rcvd a call from the same lady one day before arrival that they would be closing the office early on Friday before Labor Day. Said our site card and receipt would be in a lock box at the Education Building. I asked again about amenities and she again said yes, pull-through 50A FHU. Arrived early afternoon and was greeted by friendly gate guards. Drove to the education building as instructed and our name was not on the lock box list. Called Security from there and we were on his list for a site, so we proceeded to the campground. The camp host actually had our site card and receipt. Very friendly camp host. Site was 50A + water and back-in NOT 50A FHU pull-through. 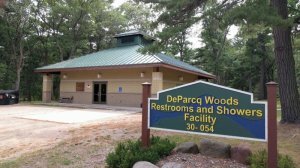 Suggest the office staff familiarize themselves with what amenities are available at their campground. Also, they could have saved me a trip to the education building with my RV if they would have told me the camp host had my stuff. Not very thoughtful on their part. Other than that, the 50A worked well. Water was good quality. Free firewood for our fire ring, although we did not use any. Ample dumpsters and recyclable bins. Plenty of room to maneuver our 42 ft long fifth wheel into our paved back-in site. No overhead obstructions, but also no satellite reception due to the trees. We did receive a few local stations but only one network (CBS). Cell voice and data coverage (AT&T and Verizon) was good. Large laundry facility in the midst of the barracks. 16 washers and 16 dryers, free of charge. If this place were full of soldiers it might have been a wait but we owned the place this holiday weekend. Did not make it to the museum, but looked like a nice one. Bring your bug spray as the mosquitoes will make sure you know you have entered their AOR!! We arrived at Camp Ripley and proceeded through the MAIN GATE to the Eduction Center/ Billeting Office to register. The building is on the left, it is a fairly elaborate two-story building on the right. It has a large u-shaped drive that you can pull through if you are in a large RV. The office is in the main door immediately on your left when you enter the door. Registered with a lady that had a British accent, she provided directions to the campground and said JIM was the host and would take care of any questions we might have. We proceeded to site 15, spoke with Jim, who was most helpful. We parked in our assigned site, #15, and hooked up. We had excellent Verizon and ATT cell service. Our DISH satellite view was blocked by trees, however, it appeared some site would have satellite. The sites are level, 50amp, and water. Dump station is nearby. Park was very quiet. Oh, and they provided free firewood. Nice campground it is well maintained, has a fairly new RESTROOM and SHOWER facility, which is also the storm shelter. We enjoyed our stay and we would stay here again. 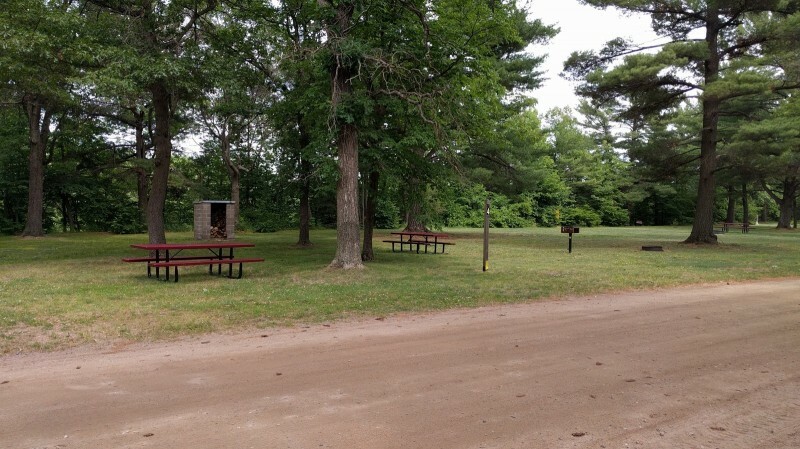 Lovely campground that will remind you of your childhood camp experiences. 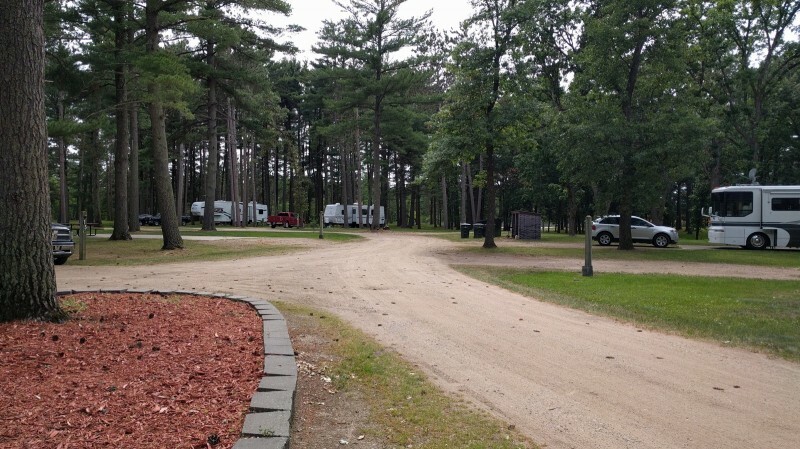 Helpful notes - Billeting is straight ahead on main gate road on the right with a circle drive, laundry is free and plentiful but not near the campground, and after you enter the campground, take the left road to the rv spots. Very close to a main highway. We will be back. This is one of those gems you seldom hear about. Only 15 sites, spaced so far apart you have to yell to get your neighbor's attention. Heavily forested area with lots of grass, so satellite TV is almost negligible but we received nine OTA channels. Good WiFi throughout the post, and Verizon cell/data worked well. Miles and miles of empty building during our stay, and we had the 40 washer/dryer laundry to ourselves - all free and with new machines. Didn't see the host during our stay, but there was firewood stacked on our fire ring and a free supply available. If you plan on sitting outside, bring lots of mosquito repellent - they rival Alaska here! Not much in the area, but Little Falls has a Super Wal-Mart and the Charles Lindbergh home and museum is worth a visit. Great RV Park. Super sites with cement pads in a nicely shaded area. We stayed in a motorhome for two nights on our way to North Dakota. Laundry was very large and there is no charge. We would stay here again! Easy to find - 46.090660° -94.347228° is the Billeting/MWR checkin for Deparcq Woods Campground. Enter through the main gate - go straight down road - billeting on right. Large concrete pads, 50A/good water, picnic table, fire-ring, cut firewood (free) in sheltered bins. Great showers/restrooms. Easy-access dump station on way out of park. Free (huge), new laundry facilities (four of them) on-post. Campground at - 46.077743° -94.337737°. 15 sites - any size rig; no pull-throughs. Literally a stone's-throw to the Mississippi River. This place is a model for other installations - would rate it right up there with both Nellis and Ellsworth re. being an enjoyable place to stay; this one has its own ambiance - in its own class. Glad we elected to get off the interstate and go the few extra miles. Next AK/Canada/Northern-Tier trip will find us staying here again. We stayed at DeParcq Woods July 25 - 29. The camp host, Jim and Mary were wonderful hosts and were very helpful in getting around the area. The park is very well maintained and a great spot to R&R. The bathrooms/shower facilities are some of the best we have experienced. The only thing that could make it a truly great park would be the addition of sewer hookups. The dump station is very handy however and very well maintained. The P.X. is small as others have noted but local shopping isn't that far. Be sure to use the Main Gate - I had misplaced the directions and followed the GPS coordinates given at the top of the page and it took us too far and down a road which you really don't want to travel. We would enjoy staying here again and for a much longer time. Jim Is an excellent camp ground host and makes everyone feel welcome. They are adding 2 or 3 new laundry facility on base. The P.X. doesn't carry much in the food line Walmart is about 6 miles back in Little Falls. There are several lake on Camp Ripley that have fishing, also MWR has boats at 2 of these lakes you can check out but bring your own motor. Nice clean, very well groomed park. Bathrooms were spotless. This is a National Guard base so there are really no facilities like BX, Commissary, etc. Lots of tall trees so you may have problems getting your satelite to work. We were the only ones parked here because the hosts were called away on an emergency, so we picked the site that worked best for us. We parked in our 40' motorhome. 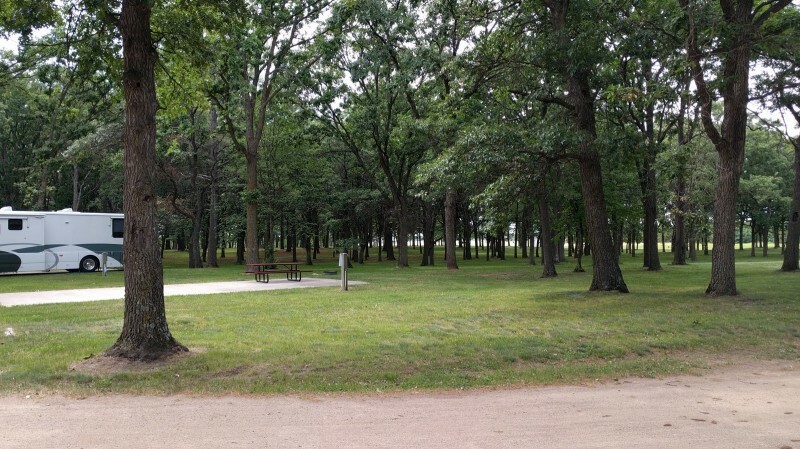 Camp area is beautiful with tall trees and well groomed landscape. Lots of free firewood provided. Bathroom facilities are the best I've seen. The price is great. It was very quiet and enjoyable. There are lots of things to do at the base and the surrounding area. I wish they had laundry facilities at camp but they do have them on base. This is quiet campground and the campground hosts for 2012 were superb. The firewood is free and they do have water and electric hookups. The shower facilities were very clean and well kept. The swimming beach is about ten miles from the campground. However, there is fishing on site. They also have a playground on site and a covered fire pit to use on those rainy days. Otherwise each site has a pit also. On the post itself it has a small PX (more of the size of a Shopette). I stopped writing reviews for a long time. Now I only write one, when the campground is a must stop and see. Well that is what we have here, must stop and see if your in the area. It is a great Rec campground, free wifi, free firewood, and free laundry. We where lucky enough to get to visit with the Post Commander and the Post SGM, soon to be CSGM. The Post is great, two gyms, older equipment, but still good stuff. There is so much to see and do in this area of MN, we had no idea. We picked Camp Ripley because of the previous post, they where right. Go out of your way and visit Ripley, stay a couple of days or a week. This is what camping is all about, plus the Commander has a great fish fry. Hats off to Camp Ripley, we will be back. We only stayed one night but we really enjoyed our stay. Gene and Vicky were the hosts and they are very friendly and helpful. The GC is tucked away in a grove of mature trees offering lots of shade. Sites were large and easy to get into. There was a total lack of mosquitoes during our stay and I was surprised about that. The grass is kept mowed and the facilities are very clean. No garbage laying around and they don't waste a lot of money on extra help that is not needed. We will stay there again, hopefully for a longer time. The post is a training base so they have a good PX, but no commissary. The only drawback are the picnic tables. They are impossible to move because they are just too heavy. We wanted to pull ours under our canopy, but there was no way to move it. If it rains, you will have to eat inside. 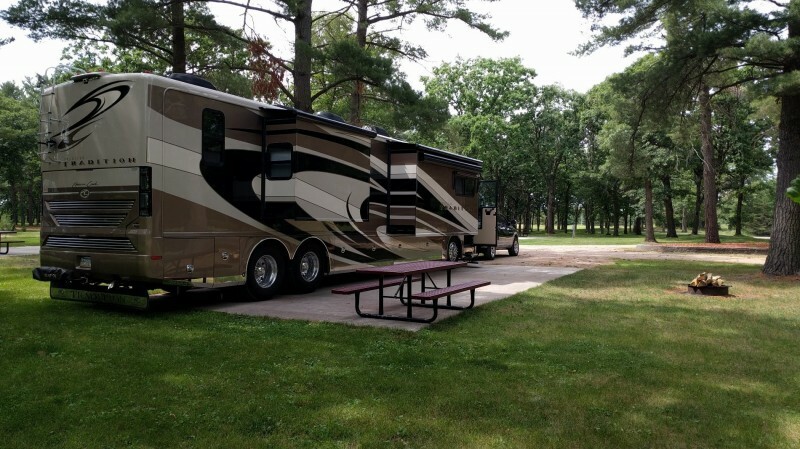 With the new campground hosts, the grass is kept short, the bathrooms and showers are modern and extremely well kept, and the cement RV pads are literally swept prior to your arrival. The campground is literally on the Mississippi River. When it is raining, there is a huge pavilion with a fire pit in the middle so you can still chill outside around a fire and/ or cook. This place really is a great kept secret. The security (it is a national guard base with unarmed private security guards) do their rounds frequently but never bother anyone. The camp hosts are the ones who may tell a loud party to quiet down. But they are so folksy that they do not offend. Great people. If you are hungry, they have a little PX on the main base area and outside the main gate are two bar and grills. The bar and grill named "Main Gate" has very inexpensive food and if you show your campground pass, they give you two for one beers. And the beer is always $2.00 a glass. If you get bored, you can go into the little towns around the area. The town right out of the gate is Little Falls which has the former home of Charles Lindbergh. This campground has both tent camping and full electric/ water RV sites for $17 a night. Free firewood as well. 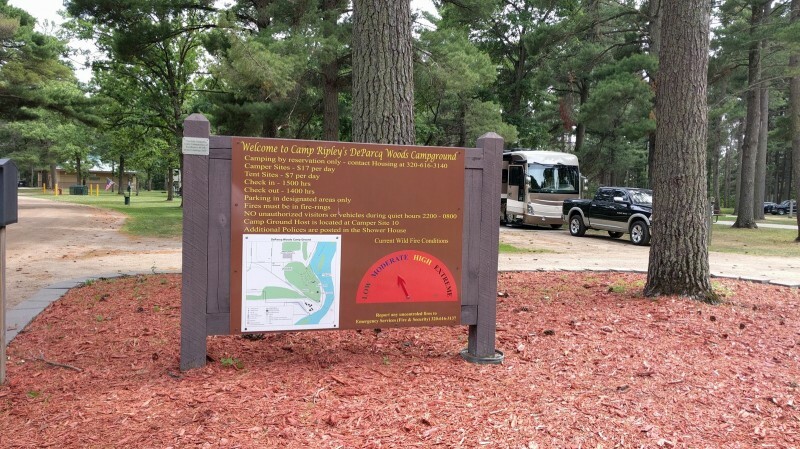 The campground at Camp Ripley, MN along the Mississippi is now complete. Water and Electric have been added to all 15 RV sites and water is also available at the Dump station. The new shower house and restroom was also completed last fall (2010. It has wonderful amenities and is a great location. The only thing it needs is for the grass to be trimmed and maintained a little better. Very nice place for the money, plus free firewood too! CG is similar to a state park with large trees abounding making for great shade but, limiting solar recovery to mid day only. CG is patrolled by security routinely. Tall grass in campground required us to use our weed eater to clean our site. Dump station available next to campground road but no water access there. Dump & Water available at Holiday Pantry service station near Walmart on the north side of Little Falls. Would stay here again. V.S. left this review using the Directory software: This was one of the most beautiful areas around. They had very large concrete pads and the sites were extremely large. In fact the biggest I have ever seen. There was a beautiful pavilion down below for a very large party. The only problem with this campsite is that there are no hook-ups. They ran out of money. There is a dump station right when you come in but no water there either. If they ever get hook-ups I can't imagine there will be a space available. The base is great for bike riding either on road or off road. No reservations are necessary but I called and talked to Jim and he was extremely nice. Even though you do not need reservations he called the gate and told them we would be coming in. I loved the place and if you like dry camping you have to go here. The rate was the best, free!